Nasal mucus. There, I said it! These represent two words that no one likes to talk about. Sadly, mucus has a bad reputation for being a gross substance, but it is extremely useful and has vital functions. Being an Ear Nose and Throat (ENT) doctor, I must admit to being a bit biased toward nasal mucus! I have seen the good, the bad and the ugly that is associated with mucus in many areas of the body. My previous post highlights the benefits of using saline to reduce excess nasal mucus. 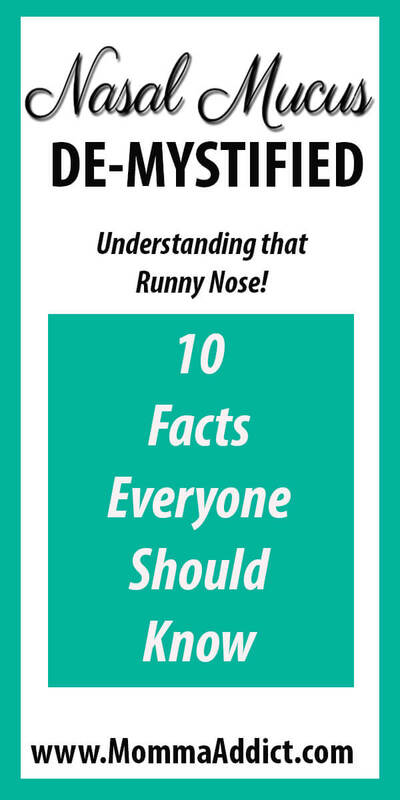 Today, I intend to provide some facts that may make nasal mucus a more comfortable subject. I hope these educational tidbits will remove the mystery about mucus and allow it to be celebrated for the constant work it does! 1. Mucus is made all day, every day! 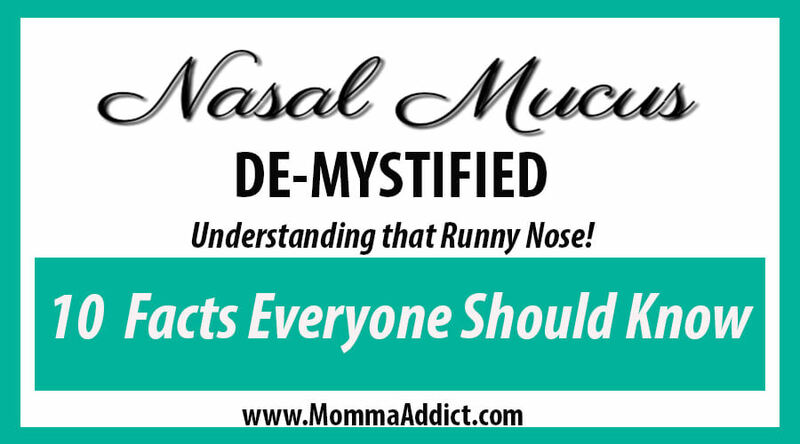 What most people think of as nasal mucus is actually a precise mixture of both mucus and watery secretions. Usually, these two substances work together smoothly, and you probably don’t even notice them. This nasal liquid serves an extremely important role; consequently, our bodies produce over one quart each day. Mucus is a slippery liquid made by mucous membranes. These membranes line the passageways in body areas that connect to the outside environment. These passageways include the eyes, nose, mouth, respiratory airways, digestive tract and reproductive tract. When we breathe through our noses, mucus traps particles to clean the air. Thus dirt, dust, pollen, mold, virus, bacteria and other foreign particles do not reach our lungs. Tiny hair-like structures called cilia line the airways and beat in a pattern that sweeps the mucus to the back of the throat and remove the foreign particles as the mucus is removed. Smoking can damage the cilia; consequently, smokers (first and second-hand) experience more difficulty with a buildup of mucus. Mucus contains antibodies that recognize viruses, bacteria, and fungi. After the organisms have been identified and trapped in the mucus, enzymes in the fluid kill the invaders. I believe we all know what humidifying means. Who wants dry air in their nose? Our nasal mucus keeps the lining of our noses moist. If these passages dry out, the surfaces crack, which is not only painful but also allows infectious organisms to enter into the body. In response to irritation, inflammation or infection, the nasal tissues increase mucus production to protect the body. The excess mucus often changes consistency and color. Healthy mucus generally appears clear and thin. When it becomes thick and cloudy, inflammation, infection or allergy may be present. Colored mucus sometimes indicates a significant health problem, but this isn’t always the case. It can turn yellow or green when the body’s infection-fighting cells collect in the liquid. Call your doctor when you become concerned about the appearance of nasal mucus. 9. Allergy and the common cold tends to increase water content in mucus. Ever had your nose “running like a faucet”? I think yes! Our bodies tend to make mucus which has excess water compared to mucus when we have allergies or a cold. When infections are present, our bodies produce additional mucus, however, now with excess mucus compared to water. This thick mucus becomes more difficult to manage and frequently blocks sinus and ear drainage pathways. Nasal saline washes yield excellent results at flushing out this mucus. Since most people are bothered by symptoms of thick, clogging mucus, in addition to nasal saline washes, drinking more water and staying well-hydrated stands as a great treatment. Also, using a small facial steamer or humidifier, taking a hot steamy shower, or even breathing through a warm wet wash cloth brings some relief from thick, crusty mucus. Runny nose (with sneezing and/or itching). Take an antihistamine to dry excess water in mucus. Post-nasal drip (thick mucus). Wash the nose with nasal saline, take an expectorant (this thins mucus) drink lots of fluids, breathe through a warm wash cloth, and use steam to make the mucus more liquid. Congestion (blocked nose). Generally, this means that the nasal tissues have swollen. I often still recommend nasal saline washes but to more rapidly improve breathing, oral decongestants or decongestant nasal spray, like Afrin (for up to three days only) may be needed. Your physician may also recommend nasal steroid or antihistamine sprays to reduce the chronic inflammation. So, hopefully, I have convinced some of you that mucus is your friend. Do not fear it. Understand it and learn to regulate it.